Last month American Express made some aggressive – and frankly confusing – changes to the rules regarding who qualifies for a sign-up bonus on its personal UK cards. My summary of the Amex sign-up rule changes is here. There are now further changes. This time American Express has changed the sign-up bonuses and referral bonuses on some cards. The changes impact American Express Preferred Rewards Gold, The Platinum Card and the American Express Rewards Credit Card. The changes were due to go live at midnight last night and are already in effect. What are the changes to sign-up bonuses? There is no change to the sign-up bonus or spending target on The Platinum Card. What are the changes to referral bonuses? There are no referral bonuses for the American Express Rewards Credit Card. There are no changes at all, for now, to the British Airways, Nectar and Starwood card bonuses. On the face of it, some of these changes do not make a lot of sense. Primarily, why should you need to spend £3,000 to get the bonus on Preferred Rewards Gold when you only need to spend £2,000 to get the bonus on The Platinum Card? I get a feeling that American Express is pulling back from its attempts to make Preferred Rewards Gold a mass-market product. There is no other logical reason for pushing up the target spend to £3,000 in three months, which for Mr & Mrs Average is likely to be more than their remaining cash once housing costs and household bills are paid. It is possible that the American Express Rewards Credit Card will be positioned as the mass-market product, although doubling the target spend to receive the sign-up bonus will also reduce the market for this product. I am not really concerned about the changes to the American Express Rewards Credit Card, because the only reason a HFP reader should get this is to ‘protect’ your Membership Rewards points from deletion if you choose to cancel your Gold or Platinum card. I explain more in this article. Is Amex risking long term damage by cutting off the ‘path’ for new cardholders? My first American Express card, a long time ago, was a Gold. Over time I progressed to The Platinum Card, and then – when it launched in 2004ish – the British Airways Premium Plus card, which was initially free to holders of The Platinum Card. I suspect that – outside the world of Head for Points readers, who are well educated by our articles on the benefits of each card – most people start off with the free cards and then progress. This is either as their income increases (so they can afford the annual fees on the premium cards) or as they become more comfortable with American Express as a partner. There are also no upgrade bonuses to persuade people to go from the free BA card to Premium Plus, or from the new credit card version of Preferred Rewards Gold to The Platinum Card. And what is ‘the best starter card’ now? Overall, I am still tempted to say that Amex Gold is the best starter card for most people. There is still a bonus, albeit lower, and the two free airport lounge passes will open your eyes to what your miles and points can do for you. There is still no fee for the first year. The Starwood Preferred Guest American Express card – because you can still get a bonus on both The Platinum Card and British Airways Premium Plus later, and you only need to spend £1,000 to trigger the sign-up bonus. However, this is a confusing card for a beginner (even explaining why the Marriott card is called the Starwood card isn’t simple), it has a fee and the two cards you can upgrade to both have even chunkier fees which a lot of the market doesn’t want to pay. The ‘keep it simple, stupid’ school of marketing is one which I have always believed in, but the current run of changes at American Express seems to be putting that to the test. 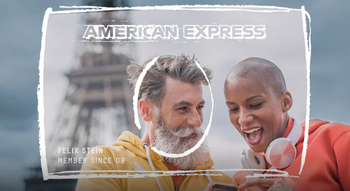 American Express Preferred Rewards Gold – representative APR 57.6% variable including the annual fee (free in year 1) based on a notional £1,200 credit limit. Apply here. Review here. 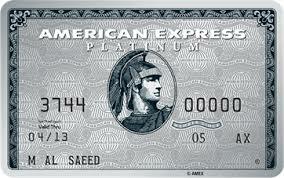 The Platinum Card from American Express – no interest rate information as it is a charge card. Apply here. Review here. American Express Rewards – representative APR 22.9% variable. Apply here. Review here. American Express Rewards Low Rate – representative APR 9.9% variable. Apply here. Review here. The Starwood Preferred Guest American Express card – representative APR 39.7% variable including the annual fee based on a notional £1200 credit limit. Apply here. Review here. British Airways American Express – representative APR 22.9% variable. Apply here. Review here. British Airways American Express Premium Plus – representative APR 76.0% variable including £195 fee based on a notional £1200 credit limit. Apply here. Review here. Crazy, I’ve managed to get 4 other people into Amex cards over the last 2 years. They were just about making the spend requirements etc but they’ve all given up now since the 2 year bonus restriction started. Fortunately most had enough miles to make some use out them ; but that said including myself/wife who’ve decided to call it quits as it’s even harder with kids now to get the seats we want, that’s 6 amex customers now lost here (the loss of tesco direct bonuses too was another heavy loss for us)! Six customers who wanted to churn their cards i.e. you probably make no money for Amex? I’m the same as you but I don’t believe Amex will miss me. I’m done with churning. Being without the earnings on an Amex for 24months is not made up for by these bonuses as all. So I’m sticking to my steady state strategy, and not worrying about CCs any more. 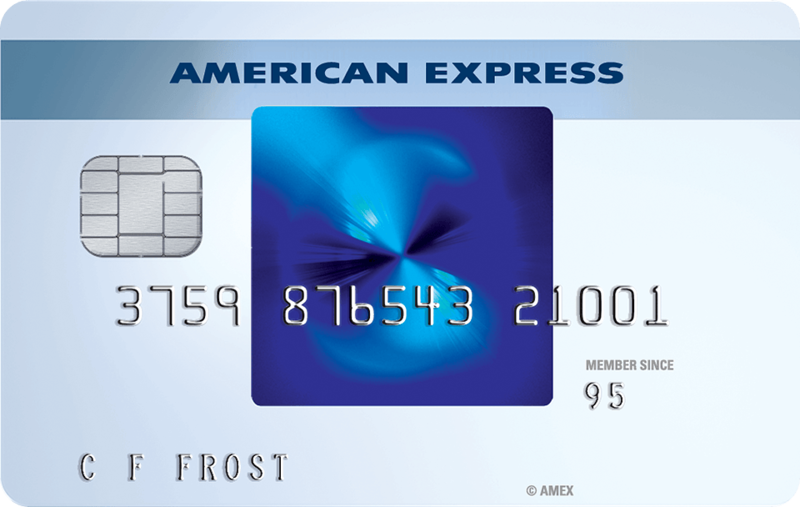 Amex: Blue card for no fee and 1 point per pound. Non-Amex: Virgin mastercard for 0.75 point per pound. Travel spend: Curve (or other) once my zero-fee platinum travel Barclaycard expires in 2021. Why do you use the barclaycard platinum travel, it’s only good for no interest on non-GBP cash withdrawals. You should be using Curve first as you will get some rewards up to the monthly fee-free limit. That’s a good point John. Thanks. I have an existing Barclays Platinum and rang them to change. They told me I wasn’t eligible and couldn’t upgrade me. Asked if I could cancel and reapply and they said yes in 6 months. Idiots. If you don’t value the ‘features’ of gold / platinum at the annual cost (or need the BAPA voucher) then that makes sense as a long-term hold. The expanding relevance of virgin miles does make a duel-programme strategy more attractive to those that just did Avios so far. I suspect that certain UK ‘deal’ websites are more to blame for such changes than HfP. People on there aim for their bonus, cancel after a month, get a £100 shopping voucher and move on. Not good for business. …and you wonder why Amex have made these changes. If it’s there for the taking it’s there for the taking. You take advantage of it while you can until the fun gets pulled – which it now has. You’re having a laugh. Every Wednesday for the last 5 yesrs, moneysavingexpert has emailed 7 million people encouraging them to get an Amex Gold, cash out for £100 of Amazon vouchers and cancel. I am getting slightly bored of repeating this but will do so again. With every partner we have where I have the data, HFP readers are the most likely to take a premium product / spend more / made a bigger initial deposit. For example, the average deposit into the Virgin Money Savings Account – the one that gives miles instead of interest – is £45,000 from HFP resders. We probably have more readers earning £75k than moneysavingexpert. Are there any changes to cross referring for card. I yesterday wanted to make some referrals from platinum, but could only find the gold and platinum cards to refer to under OTHER CARDS too, no longer eg SPG or BA cards etc.I tried with 3 different browsers. Exactly the same for me, it’s been broken for about a month now. Do you have quite a new card account? Rob, do you worry that point collecting crase is slowly coming to the end in the UK? It’s not a massive personal concern, no. 80% of our readers travel heavily for work and will keep accumulating miles and will continue to look for guidance on earning more and spending wisely. We will lose a substantial sum from Amex but we have new deals in the pipeline to offset much of this. The very worse case scenario for HFP is that it mutates into a funkier version of Business Traveller, and given how profitable that is, it would not be a disaster. Any idea how many of them still have travel policies that allow business travel? I’d imagine as more employers clamp down on this the earnings in economy will be worse and lead to fewer people being able to build up sufficient balances now the credit card routes have reduced. I wonder if my referral from Platinum to Green, then upgrading Green to Platinum scheme will still work. Damn. They really are closing in on us. Phew, just missed the cuts by a week. Referral bonus added and 22k points for bonus plus 3k on supplementary card. These comments always remind me of a late night crowded pub, everyone saying something but no-one listens, people repeating themselves, someone crying in the corner, someone marching out the door “never to return”. Can you still get the referral bonus if you have yourself and the person you are referring had an AMEX card in the last 2 years? I get they will not get a sign up bonus but so you still get one for referring? There is no “starter card” for Avios collecting. If the party wasn’t over before for non-flyer Avios collectors it well and truly is now. I have circa 150,000 Avios and my last 2-4-1 that expires next May and then I’m done. Took my first flight at the pointy-end of the plane six years ago and have had at least one and often two Club or First flights a year for both myself and my wife. And there have been some amazing and frankly, sometimes, crazy, points collecting opportunities. Gift cards, subscriptions, printer cartridges and the recent Iberia promo. Those are thin on the ground too now although I’m sure the occasional offer will materialise, it won’t be enough now. It has been amazing and thanks again to Rob. Ps O/T how are people getting on with the Tesco SIM card and rocket pack, I haven’t done this yet? I’ve done two on the same Clubcard number. Points from first have posted, await the second lot, but I did get a confirmation text. Uncertain as to whether you can do additional ones on other clubcard numbers on same account, I thought not. You’re welcome. Do come back tomorrow for the next instalment. And why does SPG card still exist??? Because there’s an existing contract. It’s unlikely to continue in the longer term. SPG is a great card – most of my regular spend goes on it rather than the gold. Would you mind expanding on why that is? Isn’t the earning rate lower once you account for the 15k spend bonus on the Gold (assuming that stays)? Depends on where you will be transferring the MR points. £15k on the SPG would give 45000 SPG points. If you transferred 25000 MR points to SPG at 2:3 you’d be getting 37500 points. Mr AC – Marriot bonvoy points are a very fluid currency (thin it transfers into 40+ different schemes) more than membership rewards anyway. I’m on a mission to fly Lufthansa First Class and I can convert bonvoy to Asiana miles which makes for the best value redemption. Besides, just at the moment my preference is for hotel redemptions anyway. I live 200 miles away from Heathrow and I’d rather have 3 or 4 hotel nights a year on european city breaks than use airmiles for a big F or J flight every 2 years. Are Amex trialing a new business model where they see how much they can irritate their customer base while still surviving? We are the least profitable customers for them. I wouldn’t be surprised if we’re net loss, all things considered. According to the booklet about Platinum benefits and value that I recently received, average Platinum cardmember charges £30k a year on their Platinum. Average HFP reader is charging £0 a year on the Platinum and keeping it only for lounge access, insurance and referral bonuses. Though it’s a bit strange that they are choking the Gold card. You’d guess that they want to migrate all of their SPGs and BAs to Gold/Platinum, because they lose money on BA and SPG cards every time someone uses them. Don’t agree. Most hfp ;it do put a lot of spend through amex. Most of our annual spend goes on amex. Double dipping with Tesco etc. So, amex do gain spend. Oh we do put a lot of spend on Amex. Just not on the Platinum card. What is this double dipping with Tesco you are referring to? Isn’t the Tesco Pay + Tesco debit card strictly better for Tesco spend than anything else? Pretty sure £450 more than covers that. I imagine they’ve decided to stop buying unprofitable customers. Smaller customer base, but based around ones they’re making money from. I’m semi-retired but still most of my spend relates to work, once it’s just personal spend I’ll have to settle on a reduced number of cards. At present I favour SPG but unlikely that lasts too long. Maybe just stick long term with the paid IHG card. Avios good for short haul, but I earn plenty from my long haul flights to sustain earning. Prefer cash fares on ex-EU at opportune times for maintaining BAEC status which in turn generates lots of extra Avios from flights. I value the lounge access, extra availability, and other benefits from cash fares over long haul redemptions where the tax is 60% to 80% of what I’ve been paying for ex-EU to USA destinations. Just noticed you can no longer cross refer from the BA referral link. I was going to use my link to get a Platinum card, it now only allows the BA blue or black. Does anyone know what cards you can get from the Gold card now? Doesn’t work, it’s been broken for some of us for around a month now.